Omni Channel support – Already supporting most available social media IM channels, web chat and phone text, SmartBotHub now also supports RCS (rich communication services), IVR (interactive voice response) channels and Apple Business Communications messaging services. Natural language processing (NLP) – The most recent version 2.0 of SmartBotHub has an enhanced NLP engine that enables a faster “time to market” for enterprises in learning, training, and implementing a more natural language experience around each enterprise’s business (industry, local, brand, etc). Artificial Intelligence (AI) – SmartBotHub 2.0 has introduced not only its’ own proprietary artificial intelligence but has introduced a new microservice to interoperate with third party AI engines like Google or other machine learning systems like Tensor flow. 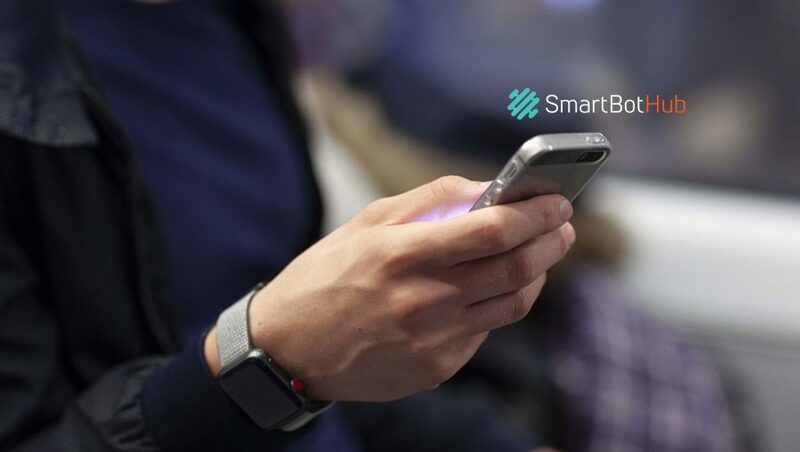 Contact Center Interoperability – SmartBotHub now enables seamless interoperability between chatbot and contact center functions. Human in the Loop (HIL) feature allows hand off from chatbot to human agent and allow context of chatbot conversation to follow to agent. SmartBotHub Session Initiated Protocol (SIP) Gateway enables fast connect to most IVR functions creating digital conversation self-help when calling traditional IVR‘s. Enhanced BOT Builder GUI – Supporting the premise that “Lines of Business”, non-technical users should be able to easily design, create and manage digital conversation agents across the business, SmartBotHub’s most recent Bot Builder GUI has been significantly enhanced for usability and with new authentication and security features. Data Lake and Analytics support – SmartBotHub release 2.0 supports a range of Data Lake implementation options including Hadoop and a meta data architecture that provides rich analytics around digital conversation user activity and behaviors. Multi-lingual support – SmartBotHub is being used by enterprises around the globe and the most recent version 2.0 supports the ability to incorporate virtually any local language from European languages, Middle eastern and Asian languages. SmartBotHub can also recognize the users desired language from initial interaction and proceed with that given language mode. In addition, SmartBotHub is able to switch language modes within a given digital conversation. Data Integration Engine – A digital conversation is only as good as the data it can interact with and this is why SmartBotHub 2.0 brings the most advanced and easy to use data integration engine to an enterprise. SOAP and REST API integration is quick and easy with SmartBotHub 2.0. Secure Chat – Naturally, the security of end user information during a digital conversation is of the utmost importance and SmartBotHub 2.0 provides patented security features including the ability to containerize any sensitive part of a digital conversation so that it does not transport across public messaging channels like face book or twitter but is maintained discretely between SmartBotHub and the enterprise.